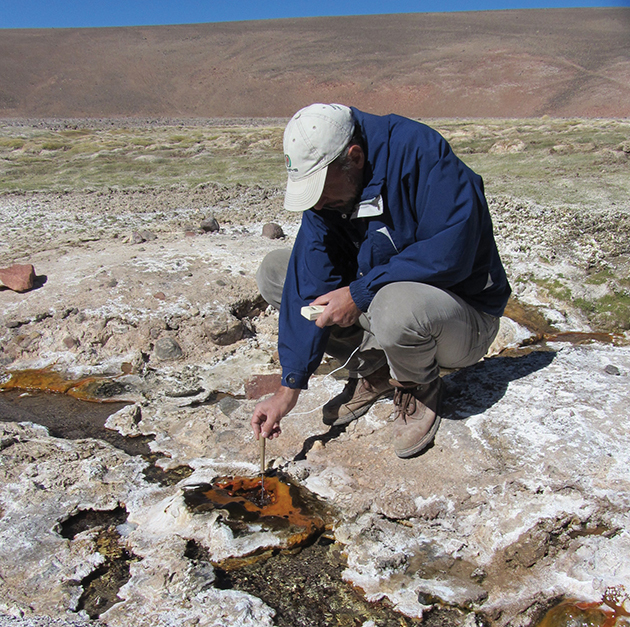 Measuring the temperature of hot water springs near Barrick’s Veladero mine in Argentina. Water is bubbling to the surface at 76-78 degrees celsius. 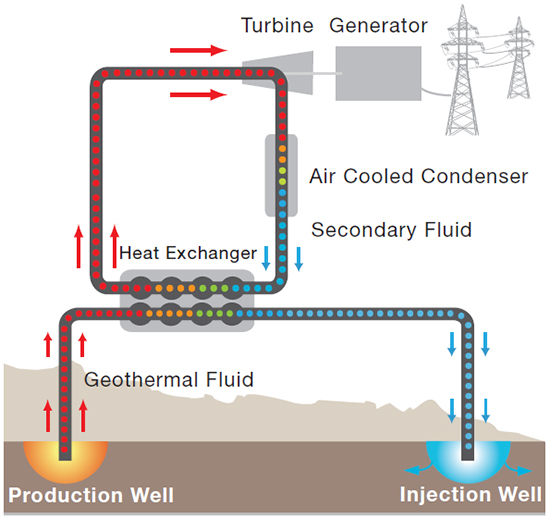 In a binary geothermal plant, high temperature water is pumped through a heat exchanger to heat a secondary fluid that has a lower boiling point than water. The high temperature water causes the secondary fluid to vaporize, and as this vapor passes through the turbine it drives a generator to produce renewable power.